Amerock's wide variety of finishes, styles and sizes for all decorating tastes is the inspiration for the beautiful designs. Showcasing decorative hardware solutions that inspire, coordinate throughout the home and express personal style. Amerock Decorative Hardware is the perfect finishing touch for all rooms around the home. From Liberty Hardware, the Mandara Collection provides the perfect finishing touch for your Kitchen, Bathroom, or DIY project. Designed to coordinate with the Delta Mandara bathroom faucet and accessories, the Mandara Collection features a simple design with subtle reflections from the glamorous art deco period. The timeless Satin Nickel finish offers a sleek, classic look and feel. 3 in. Double Beaded Pull The Liberty French Romantics 3 in. 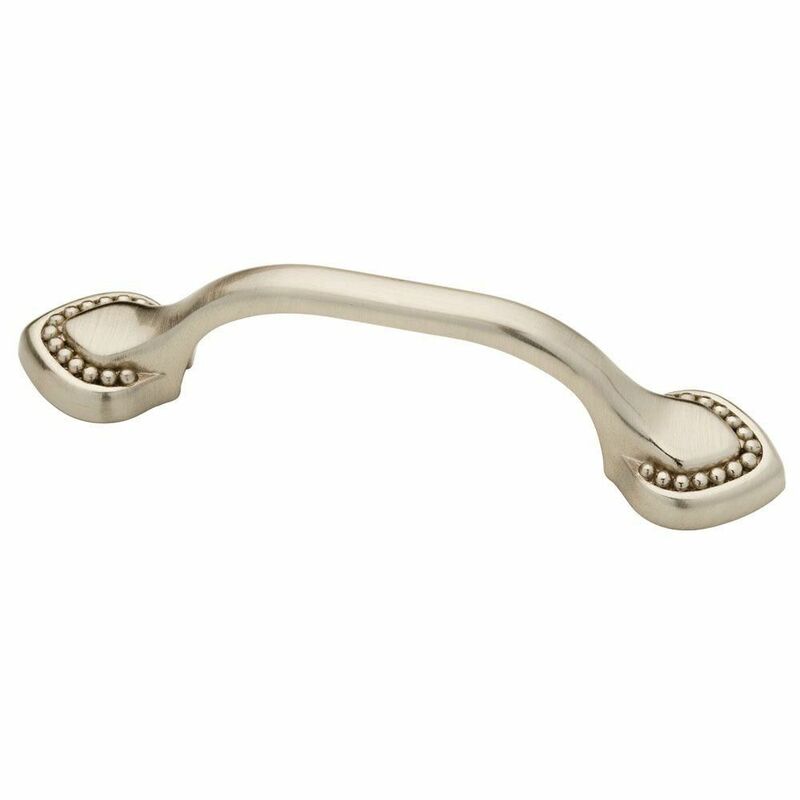 Satin Nickel Double Beaded Pull adds traditional style to any home decor. The classic design and elegant finish accent drawers or cabinets. Comes with 8-32 in. x 1 in. machine screw. 3 in. Double Beaded Pull is rated 4.6 out of 5 by 26. Rated 5 out of 5 by HomeDepotCustomer from They look great.... They look great. Rated 5 out of 5 by dubba from Great to perk up flat drawer fronts, not too fancy... Great to perk up flat drawer fronts, not too fancy or too plain but just right. Rated 5 out of 5 by Cindi from Easy to install and gave my kitchen a whole new... Easy to install and gave my kitchen a whole new look. Rated 4 out of 5 by AngieV from Love the look of the handles but I wish the... Love the look of the handles but I wish the backs were filled. No really comfortable on you hand when you open drawers. Rated 5 out of 5 by Cooper from Exactly what we were looking for and appears to be... Exactly what we were looking for and appears to be of good quality. Rated 5 out of 5 by Gabby from I love these handles but you can find them cheaper... I love these handles but you can find them cheaper online with TrueValue for about half the price. Rated 3 out of 5 by Phillip from The look nice. Would like for them to have been a little heaver. The look nice. Would like for them to have been a little heaver.